Hard to commit yet easy on flavor with pink adventure with the blooming dailies Blonde Barbie Cake is just the right choice for princess feels. This two tier cake would the center of attraction for the kids invited to the birthday party. Also, suitable for the ones who want to relive their childhood moments. 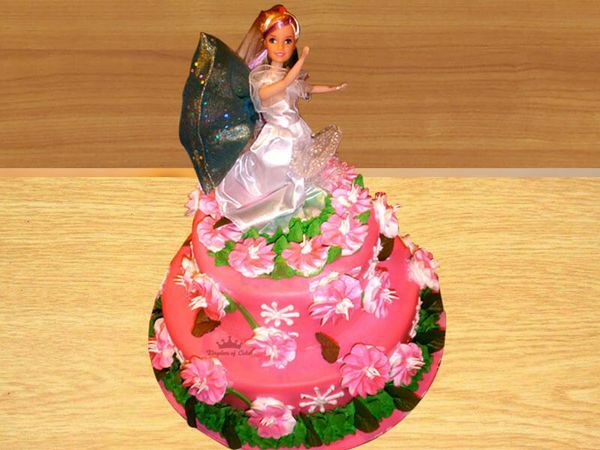 Accompany this Barbie cake with best party poppers and create your own Barbie Birthday story. Best suited for Kids birthday party, Barbie-themed decorations, celebrating the success of your princess in most apt shapes.